The annual CES trade show is a hotbed for new tech launches every year, and with wearable tech becoming relatively more popular in recent times, Casio is one of the companies that has jumped on the bandwagon and announced an all-new watch that the company hopes will strike a chord with the outdoorsy types. 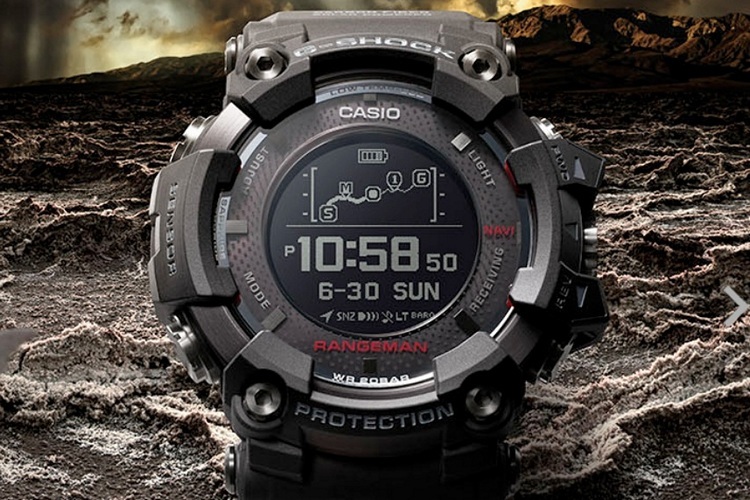 It is part of Casio’s famed ‘G-Shock’ range of rugged, shock-resistant watches that have developed a cult following since their introduction in the early ’80s. The device is a new GPS watch called the ‘G-SHOCK Rangeman GPS Navi’ that comes with the usual array of G-SHOCK functionalities, but what sets it apart is its headline feature from which it derives its name – navigation. Casio says that the watch can help you with all your navigation needs thanks to its embedded GPS chip and 3D log mapping capabilities. It also comes with Bluetooth connectivity that lets you pair it with your smartphone to access all the mapping data from your watch through the G-Shock mobile app. According to the press release by Casio, users can also “create their own routes, set alarms, change the time, and log travel” using the app. The device comes with an asking price of $800, and will be available for purchase April onwards. Options will include a carbon-fiber insert band in black (GPRB1000-1) or olive-green (GPRB1000-1B). Casio also announced a limited-edition version of its WSD-F20 Android Wear smartwatch at CES 2018. Called the PRO TREK WSD-F20WE, it will come with identical hardware as compared to other WSD-F20 models, but will feature white as a base color beneath a clear-coat for a deep multi-layer finish. According to the company, the color scheme is “inspired by the color of crystalline fluorite”. The company also announced a new watch-face called ‘Jouney’ that can display “a map of the current location in the background of the analog-style watch display”. Finally, Casio is launching the G’Z Eye range of “tough” action cameras. The product in the lineup is the shock-resistant, waterproof and dustproof GZE-1. The company says that it was developed using the years of expertise behind its G-shock watches and Outdoor Recorder cameras. Casio also announced a new educational technology platform called ‘2.5D Printer’ that the company says will enable “science, math and geography curriculums (sic) to take on a true “touch and feel” learning environment”.